Vitamin B12 and folic acid are needed to make blood. A shortage of B12 and or folic acid can cause anaemia. Vitamin B12 deficiency can run in families. Iron is needed for making blood. A shortage of iron causes anaemia. Sometimes low iron stores lead to being unwell even though the haemoglobin level is normal. This test measures iron stores. 'Doctor, I feel tired all the time' is one of the most frequent reasons for someone to talk to a doctor. Insomnia means 'inability to sleep' . We all need sleep and lying awake, restless, for part or all of the night means sheer exhaustion the next day. Waking up sweating is a symptom of the perimenopause, but can also occur with feverish acute infections, and a number of other much rarer medical problems such as lymphoma. Depression causes early morning waking. Sleep may be disturbed by the need to go to the loo repeatedly due to an irritable bladder in women or prostate trouble in men. Insomnia means 'inability to sleep'. We all need sleep and early morning waking, lying awake and restless for the rest of the night means sheer exhaustion the next day. Waking up sweating is a symptom of the perimenopause, but can also occur with feverish acute infections, and a number of other much rarer medical problems such as lymphoma. Depression causes early morning waking. Sleep may be disturbed by the need to go to the loo repeatedly due to an irritable bladder in women or prostate trouble in men. Fatigue can stem from a whole range of physical causes. Anaemia (low blood haemoglobin level) is a major cause. In women of reproductive age, heavy periods are the most common cause. In men, anaemia may be due to slow loss of blood from a stomach ulcer or some other problem in the gut. Symptoms of anaemia include extreme tiredness together with shortness of breath and palpitations. Fatigue in men and women may be due to hormonal imbalances or hormone deficiency. Tiredness combined with feeling cold, sluggish bowels and unexplained weight gain could point to an underactive thyroid. Thyroid gland function can be tested on a tiny blood sample taken at home. If your thyroid gland is underactive, you will need to take thyroxine tablets. This is really important as thyroxine is needed for the normal function of every cell in your body. There are many other much rarer hormonal causes. Declining or absent oestrogen at the perimenopause or after menopause can lead to a drop in energy levels. Feeling at breaking point can drain a person’s inner resources. 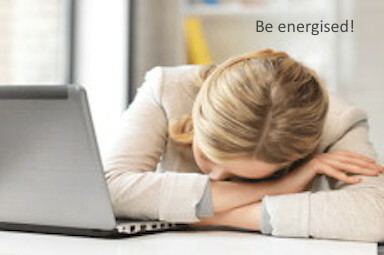 Fatigue may be a symptom of stress or anxiety. These can also lead to tiredness and general unwellness. A Dr Morton’s Test Kit© is posted to you at home with a reply paid envelope from our partner laboratory. Their process is confidential. The turnaround time for analysis is 2 to 3 days (except for weekends and bank holidays) from receipt of your sample and so the whole process is likely to take around a week, depending mainly upon the post and how quickly you are able to return your sample. Your result is reviewed by our doctor. You will receive an email once this has been done notifying you to log back in using your confidential password to read what the doctor said as well as access the report. Our doctors screen the Dr Morton’s Test Kit© results for you so in some cases they may ask you to call them to discuss the result before you read it. Our charges for calls or further emails are as set out. With Dr Morton’s Test Kit© for anaemia you can find out whether or not your haemoglobin levels are low. With Dr Morton’s Test Kit© for thyroid function you can find out whether or not your thyroid gland is underactive.